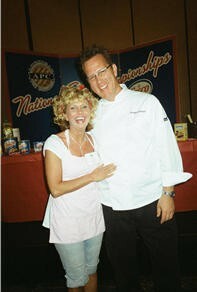 We are once again, over the moon and back for our many wins at the 2011 American Pie Council Crisco National Pie Championships in Orlando, Florida! 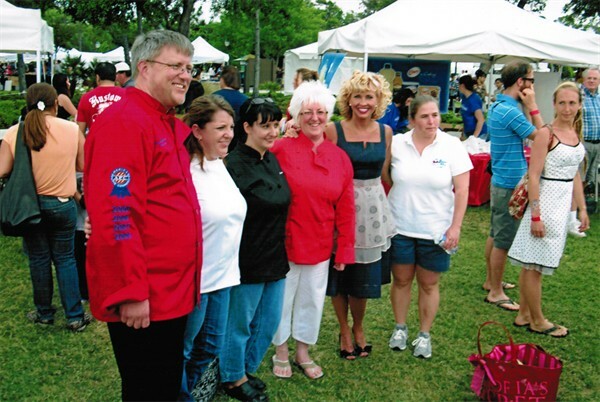 We won a total of four awards –Stephanie, our lead baker and I were elated that one of our favorites, Mommy’s Blackberry Raspberry pie won first place in the Berry category for Commercial Small Bakeries across the country. 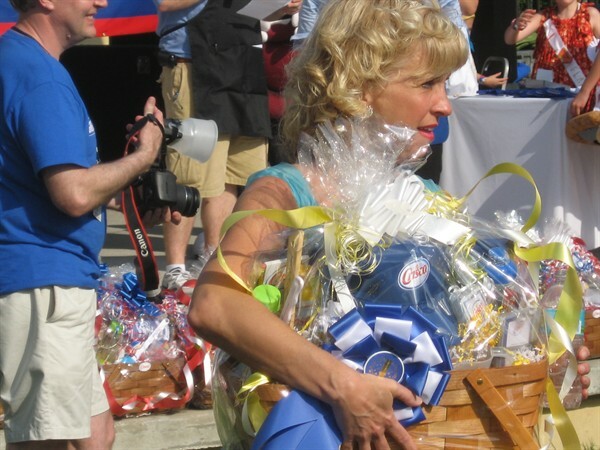 We again, were pleased as punch with our other Professional wins - First place in Open Category – Grandma & Mommy’s Pumpkin Caramel Apple Pie; Second place – The Farmette’s Blueberry Basil & Lime pie, and the biggie - Best in Show in the “Crisco’s 100 Year Anniversary Innovation Category” for Laura’s Sticky Toffee Pudding Caramel Apple Pie! 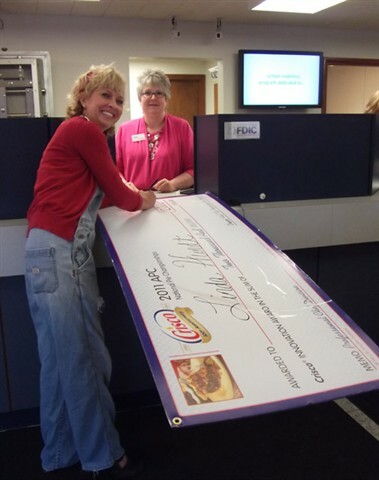 The Crisco Innovation 100 Year Anniversary Best of Show is such an honor to win! 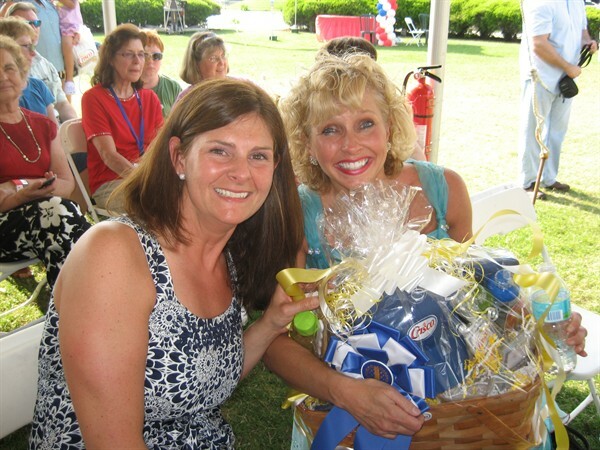 We won a great gift basket and trophy, $2000.00, and the coveted opportunity to have our recipe on the Crisco can! The award was given to the pie that best displayed fusing the classic and the new elements of pie baking in one delicious and innovative pie! It is something we do every day at the shop, so it was a good fit for what we do best! We are thrilled! I cannot thank enough all our faithful customers that believe in what we do, and the amazing team at the shop that works tirelessly to make everything taste so yummy! And a huge slice of gratitude to our sponsors, the Cherry Marketing Institute and Dandee Printing for their generous contributions to our trip down to Florida! We honestly couldn’t do what we do without all of you! My twin sister, Laura spent several years in British Hong Kong as her family was there for an overseas job opportunity. 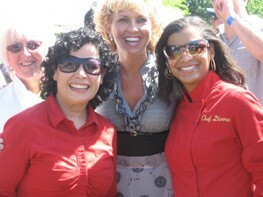 She had a wonderful experience with the mixed culture and foods of the myriad of people from across the world. Like everyone in our family, my sister was especially fond of the delicious and diverse food exposure. Fortunately, my sister had sticky toffee pudding for dessert one night with some new, English friends. 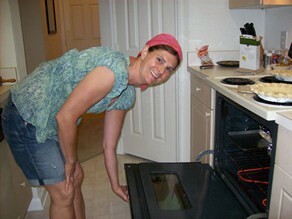 She was enamored by its caramel moist cake and creamy sauce and had to have the recipe that evening! My dear sister is a wonderful baker and has delighted us with this delicious English dessert for over a decade now that she is home. After tasting this dessert, I decided a delicious fusion of this British cake with the All American Caramel Apple Pie would be yummy, and most appropriate given our past when England was our motherland. This innovative English-American apple, toffee cake -pie combination is indeed, unforgettable. 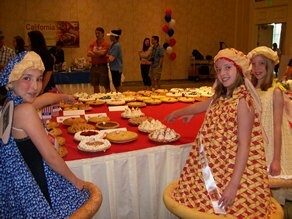 Eat pie, and appreciate old and new traditions! 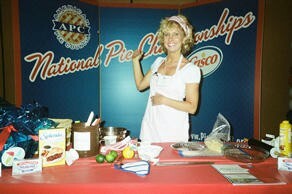 I believe most people have heard our good news regarding the Crisco National Pie Championships! We came home with three more first places and one second! Ellie’s Cherry Blackberry, Grandpa Ferrell’s Cherry Rhubarb, Aunt Margie’s Banana Cream, and County Fair Candy Apple. We’re so grateful to all of our customers, all the hard-working folks here at the shop, all the nice folks at the championships, Willard Scott and the Today Show, and our lovely sponsors - The Cherry Marketing Committee and Dandee Printing! 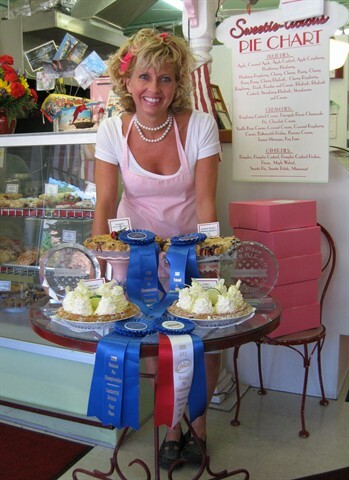 We promise to keep doing our best to make all of you the best pies we know how to make and to keep making you proud! 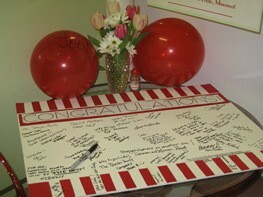 Thanks for making my dream job come true every day! Dreams really do come true…. Wow! 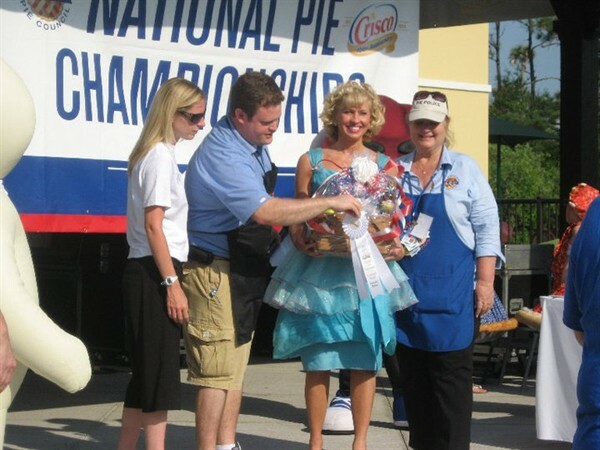 Friends, I just won the ultimate prize in the pie baking world – the coveted $5,000.00 Best of Show at the Crisco National Pie Championships / Food Network Pie Challenge for Tom’s Cheery Cherry Cherry Berry Pie. I feel like someone handed me the Green Jacket, the Stanley Cup, the Gold Medal… talk about validation! I’m not sure one word or even multiple sentences can possibly convey my feelings of appreciation, pride, and most importantly, love. 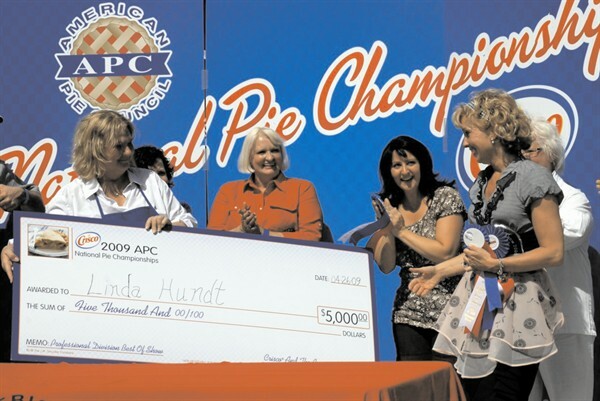 The miracle of winning for this particular pie is that I created it for my sweet brother-in-law, Tom Hundt, a truly inspirational man, who passed away very recently. I was able to pay tribute to him by writing the pie story below, which will be attached to every one of his pies that leaves our store. 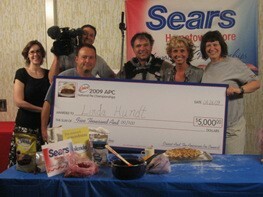 Make no mistake my friends that dreams really do come true and angels are among us… Thank you dear staff, customers, family, Crisco, The Cherry Marketing Institute, Dandee Printing, The American Pie Council, The Food Network, and especially Tom Hundt for helping make my dreams come true. 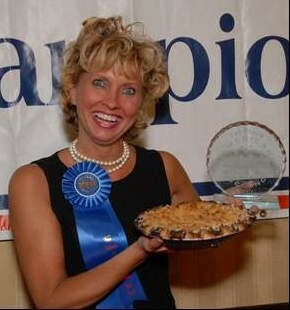 Linda just returned with exciting news from the National Pie Championships in balmy Orlando. 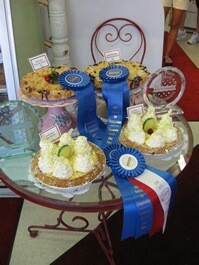 Sweetie-Licious won two first place ribbons in the Independent Baker category – one for Linda’s Key Lime and one for our Aunt Ella’s Cherry Berry Berry pies!! Yeah! 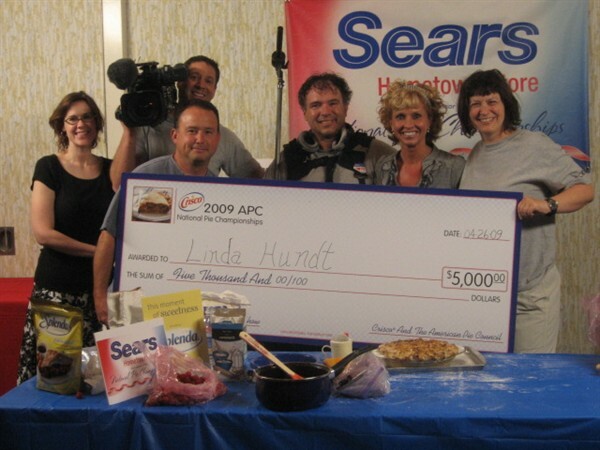 Then Linda competed in the Food Network’s ‘Pie Challenge’ for one of the coveted first places and a television spot on the Food Network Challenge Series. 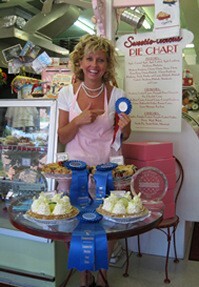 She was fortunate enough to win first place in the Citrus category for her Key Lime & Raspberry Cream pie! 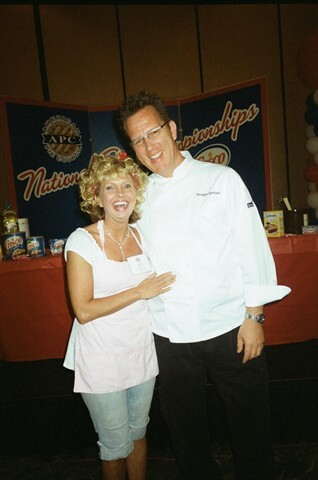 The entire experience was very cool and the National Pie Council, Crisco, and Food Network people were all so supportive and happy for her. 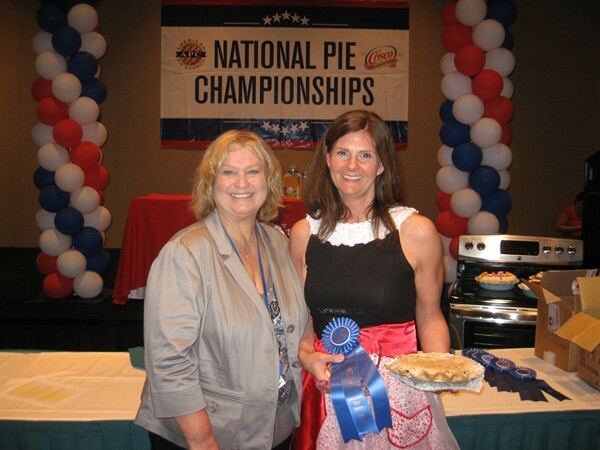 Linda is still over the moon about the whole experience and is so excited to bring you all home some more National Pie Championships blue ribbons!! 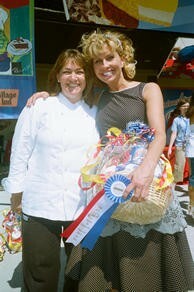 Our first win at the 2007 Crisco National Pie Championships was truly a dream come true for me and Sweetie-licious! 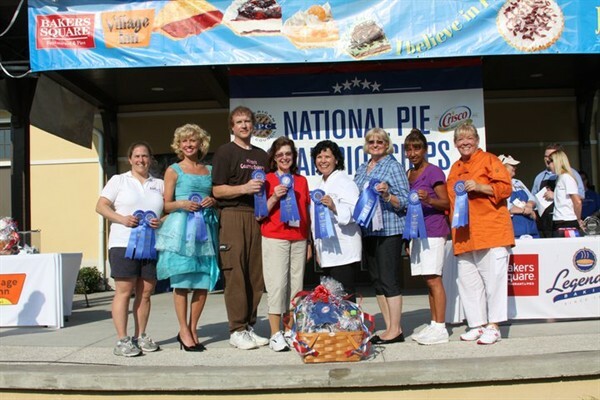 I truly felt we had one of the best pies in the nation and was ready to compete with other small bakeries from across America to take home the First Place! As confident as I was, I was equally as scared. What if the judges didn’t believe my dream too? Could I take the rejection or would I fall into a depression again for trying, but losing? 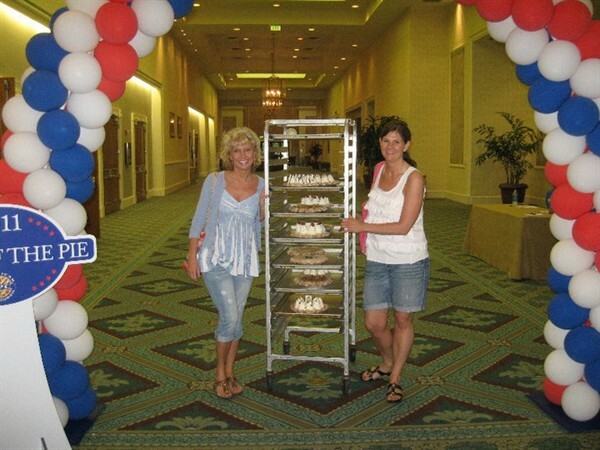 Going down to Orlando was one of the hardest things I ever had to do, but I had to try. I had no choice. 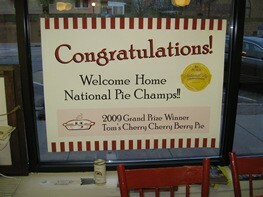 I knew if I won, I could use the win for media opportunities and the bragging rights for my pies I had so dreamed about. 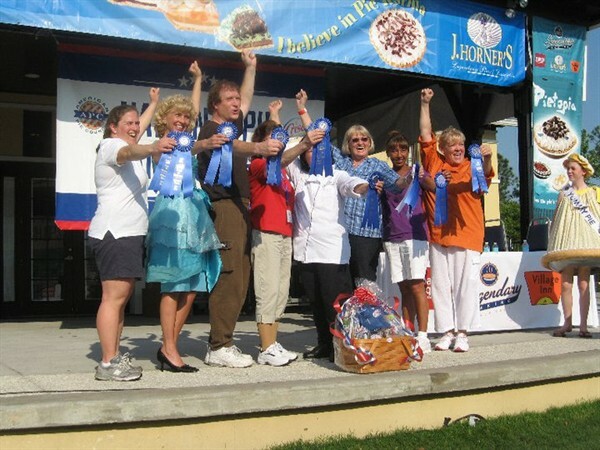 When they announced our name for First Place with Grandma Rosella’s Blueberry Raspberry pie I thought I had won the Nobel Peace prize. I had never been more proud of myself and for everyone who worked so hard for the dream back at the shop. I truly felt like I took the win home for everyone in darling DeWitt and all those who believed in me and my dream. Yes, oh yes, we all have the occasion to dream it true! The lemon bomb cookies are the best in the whole world. Thanx! Your carrot cake is my favorite food on the planet. The chocolate filled cupcakes and the red velvet ones are the absolute best in town! I have tried many places in East Lansing and Lansing, and NOTHING compares. 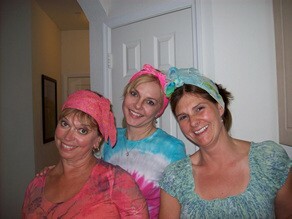 They are fabulous!! –- D.C.
For Christmas this year my daughter decided to leave a Holiday Pie for Santa instead of cookies. She figured if she left the pie she would get more presents from Santa.